For Wine Folly’s Madeline Puckette, wine is a lot like art. And as a Pacific Northwest native who has traversed from musician ( “…but the type of music I write very much belongs in Berlin,” she says) to graphic designer for Star Trek conventions (“I just got sick of hearing ‘Make another photo of Kirk doing something cool!’”) to a stint at a newspaper designing advertisements, Madeline has an undeniable “artist” vibe. She dreams of retiring as an old woman who masters the slide guitar. She notices the stunning wispiness of the clouds overhead. She wants to talk about her favorite video editing software as much as she does about wine tannins and lees — which is to say, a lot. 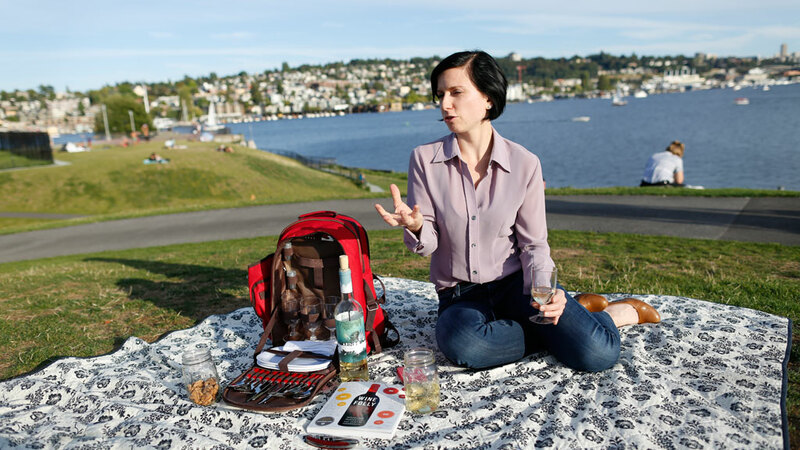 She’s got an artist’s sense of awareness, and as she unrolls a picnic blanket and pushes a rogue lock of her short black hair away from her face, it’s easy to see Madeline is not your average sommelier. Just look at her head shot for Wine Enthusiast’s 40 Under 40 List Tastemakers. Wine is about paying attention to things and thinking about what they are underneath the surface. 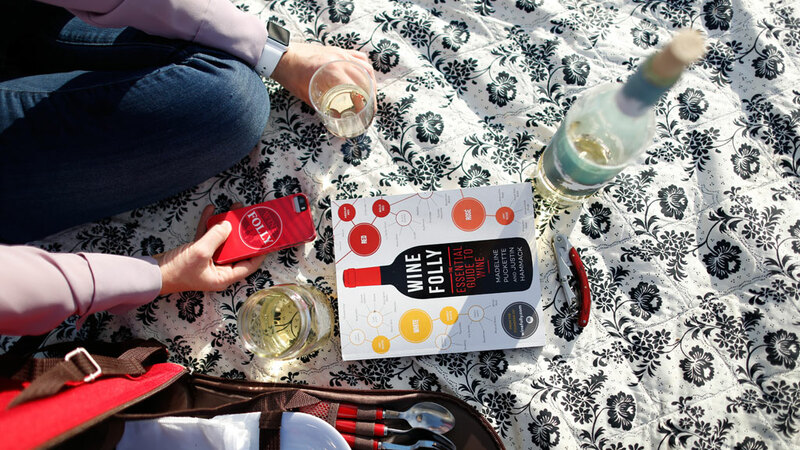 Enter Wine Folly, a website she created to connect the everyday wine drinker to the larger world of wine. With educational (and straight up cool) wine content like region maps, pairing guides and easy-to-read articles, Madeline is using Wine Folly to help demystify the world of wine for the whole lot of us. And we can’t get enough of it. Lingering with the glass at hand, we chat a bit more about the strangeness of wine tasting calls in general. “You know, I’ve licked rocks. I love the ‘freshly cut garden hose’ call [from the documentary Somm]. It’s getting at that real petroleum note that almost smells like Mattel Barbie doll,” Madeline says. Next up is the 2013 Shaya Verdejo, and Madeline’s reaction is almost immediate. Instead of salads, we nibble on some chocolate chip cookies and she continues. This wine, to me, has a very slow start, then it attacks. And that bitterness gives it a super long finish. Because it tingles, and its bitter, and its tart, but a really nice bitterness. This is a good, well made wine. “You know what it is about this wine that makes me like it? The bitterness. It leaves you with bitterness that makes it more complex and interesting. I get a pomelo skin, rindy note… and when you’re eating food, that is a wonderful way to clean your palate. That bitterness? It’s just absolutely awesome. As wine transitioned from Madeline’s evening activity to her passion to her career, she explains, dreamily, how nice it is that you can live your life through wine. Travel with wine. Eat with wine. Live all of these great moments with wine. Moral of this boozy story? Be open to trying new wines. 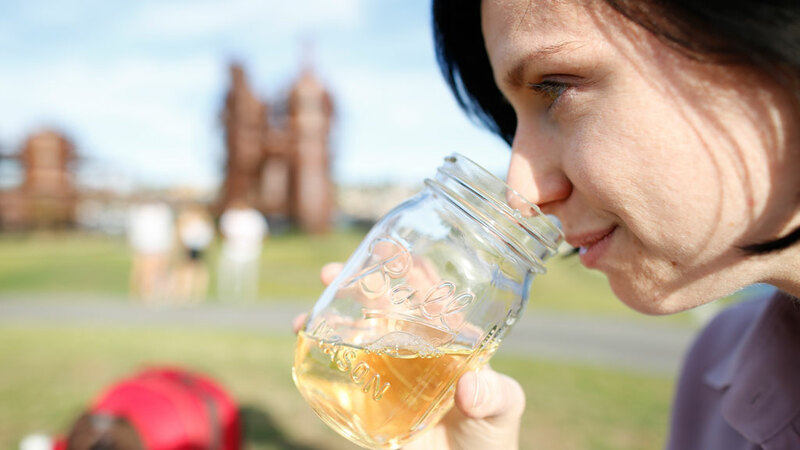 Don’t be afraid to describe what you taste, even if that means avoiding “tannins” and calling Barbie doll hair instead. And have fun with it. For more Wine Folly, follow along on Facebook, Twitter and Instagram. To order the Wine Folly book, click here. 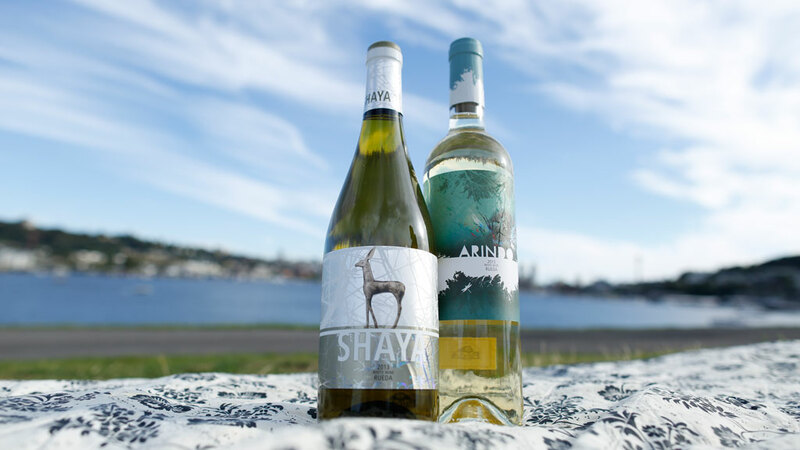 Juicy and ripe, with pineapple, pear and yellow apple fruit flavors that run through mango notes. There is a balance here between the vivid structure and juicy texture, a mineral essence boosts the long finish. It displays a nose of toasty baking spices, nutmeg, spring flowers, marzipan, and pit fruits. A bit richer and more complex on the palate than the regular cuvee, this vibrant effort could evolve for 1-2 years but is drinking well now. Whitney Adams, sommelier-blogger and YouTube star, is one of the most unique personalities in the wine world. What is the secret to her success?